CRTA election observation mission has not recorded an increase in the percentage of election irregularities until 4 pm – six percent of irregularities was recorded. Hoever, additional breaches of election procedures were observed at polling stations with already recorded irregularities. These included not checking voters’ identification documents prior to voting, not using the invisible spray, parallel lists of voters and breaches of secrecy of voting. 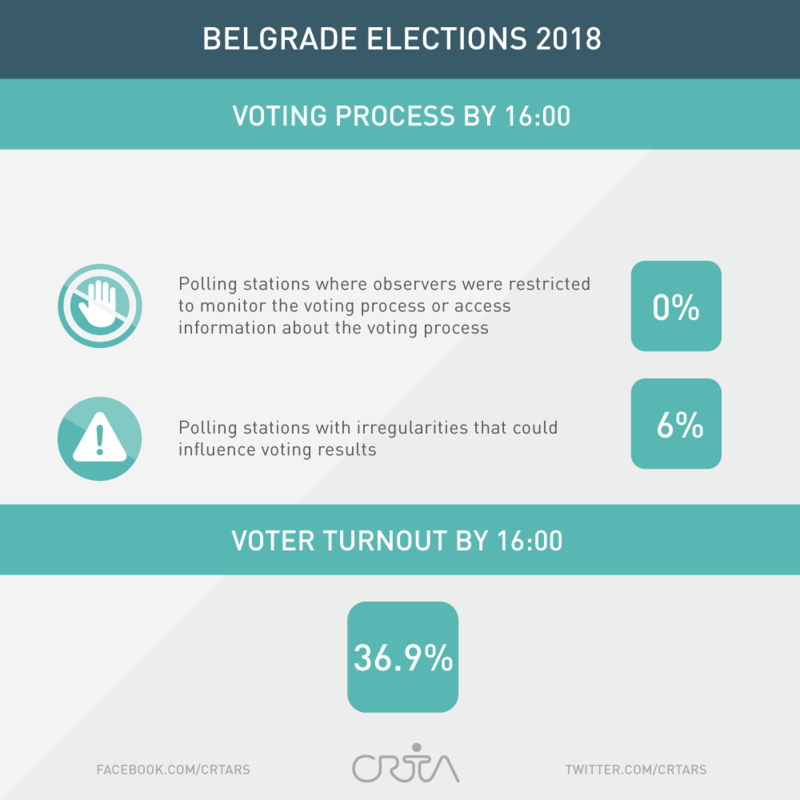 Until 4 pm, a total of 36,9 percent of citizens registered in the voters list have voted at the Belgrade City Council elections. Margin of error was +/- 0,3 percent.